The former Bethlehem Steel plant on Route 5 in Lackawanna is now home to a Canadian steel pipe company. When Don Williams passes the sprawling site on the shores of Lake Erie, he still feels a twinge of loss. The loss of thousands of jobs when Bethlehem Steel’s furnaces went cold in Lackawanna. The loss of the region’s industrial might. And the loss of all those sights, sounds and smells – for better or worse – that came with being a steel town. When Williams joined Bethlehem as a young trainee in 1967, the Lackawanna facility was among the largest steel plants in the world, employing 22,000 people. Those who were born anytime after the early 1980s – the plant closed in 1983 – can’t grasp the magnitude of what went on there, Williams said. “They didn’t have the privilege of driving through Lackawanna when the plant was in operation, seeing the fire in the sky when the slag pots were dumped, or hearing the clang of the scrap being handled, or the cold saws running during the night,” he lamented. But there’s cautious optimism that the old Bethlehem site is on the verge of a rebirth and could one day be home to companies that offer thousands of good-paying jobs in a variety of industrial sectors. A nationally recognized brownfields expert who has spent three decades working on projects in 20 regions across 10 states said he’s convinced more businesses will be lured to the site in part because of lucrative state incentives that are easy to obtain. It’s not pie in the sky to speculate that a large swath of the gargantuan site could be home to thousands of jobs over a period of years, said Evans Paull, who managed the city of Baltimore’s Brownfields Initiative for 10 years. “If there’s a really good strategic effort, combined with very aggressive incentives, it’s absolutely possible,” said Paull, who has been working on an economic impact analysis of brownfields incentives that the state offers. Paull and others are quick to point to one early success story. A Canadian steel pipe company opened a factory on more than 40 acres of long-dormant land last summer. Welded Tube transforms flat steel into round tubing for numerous customers, including natural gas drillers. Welded Tube has plotted a three-phase expansion plan that is projected to create 121 jobs over the next several years. “We’re ramping up production far faster than we thought,” said Robert Pike, a Welded Tube vice president. The company recently added a second shift at the Lackawanna site. When Welded Tube was granted about $7.7 million in tax breaks through the Erie County Industrial Development Agency in 2012, company officials said future phases would see two new buildings constructed to house pipe-testing facilities and other operations. The company’s expansion plans remain on track, Pike said. 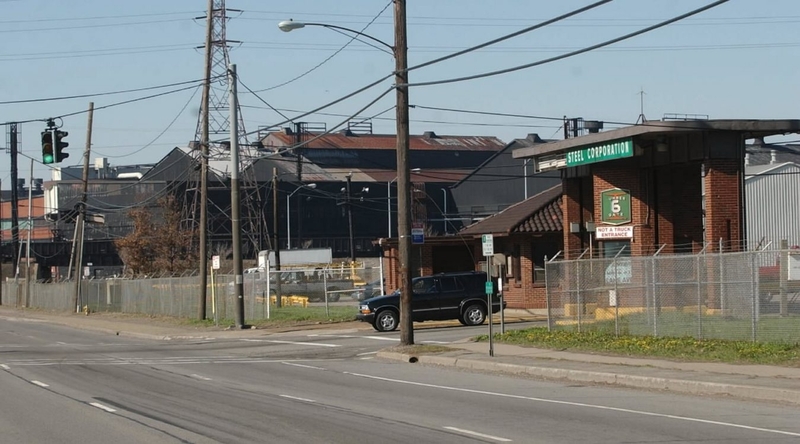 County Executive Mark C. Poloncarz believes Welded Tube’s presence is a powerful sign that large tracts of land on this brownfield that includes about 1,000 acres eventually will make a manufacturing comeback. “I think we’re just at the tip of the iceberg,” Poloncarz said. The man who heads an organization that markets the region to businesses looking to expand or relocate said there are strong indications that other companies will follow in Welded Tube’s path. Thomas A. Kucharski, president and CEO of Buffalo Niagara Enterprise, said that while confidentiality agreements bar him from discussing specifics, he’s cautiously hopeful that other industrial tenants will be lured to the site. Kucharski said his decades of experience in the economic development arena have helped him to develop a knack for recognizing inquiries from businesses that are more speculative than serious. The path to redeveloping the old Bethlehem site needs to be incremental and done in manageable, clearly defined phases, according to the man responsible for marketing the region to businesses that are looking to expand or relocate. Meeting the infrastructure needs of companies is also essential, Kucharski said. For example, the county and state funded millions of dollars in road and rail work to accommodate Welded Tube. The most recent project involved relocating a two-mile rail line on the former Bethlehem site so that hundreds of acres of land became more accessible for development. The state contributed $4.4 million to the $4.7 million rail line relocation, while National Grid provided a $300,000 grant to help pay to move utility lines. The new rail line opened last September. How confident is Kucharski that the former Bethlehem Site can become a magnet for other industrial companies or manufacturers? “I’m a lot more confident now than I was five years ago,” he replied, noting that there has been more “buy-in to a regional plan” by community leaders. Meanwhile, Poloncarz said some tracts of land already are ready for development. Poloncarz concedes that not all parcels will be suitable for any type of meaningful development. Finding new uses for Buffalo’s brownfields is a critical component to revitalizing the area’s economy, according to Poloncarz. He points to Gov. Andrew M. Cuomo’s announcement in November that $225 million will be invested to build the Buffalo High-Tech Manufacturing Innovation Hub at Riverbend on the old Republic Steel site on South Park Avenue as another example. Luring new companies to that site will require a process that allows all the pieces to fall into place in an expeditious fashion, Kucharski emphasized. “You have to demonstrate to companies that it’s not going to take forever to accomplish it,” he said. New York’s Brownfield Cleanup Program provides incentives to encourage the cleanup and redevelopment of contaminated sites. Paull, who heads the Baltimore-based consulting firm Redevelopment Economics, believes these incentives can be important tools for helping to attract new and expanding businesses. “It’s probably the most powerful brownfield incentive in the country, and it has particular benefits for manufacturing,” Paull said. The incentive program, which offers tax credits and liability relief, is up for renewal in the State Legislature this year. No one denies that redeveloping a tract of land as huge as the former Bethlehem plant poses more daunting challenges than the common remedial projects on much smaller tracts of land. But Paull said there are examples in other parts of the country where large parcels of once-contaminated land have been given new lives. He cited redevelopment efforts on the former site of Bethlehem Steel in the now-defunct corporation’s hometown of Bethlehem, Pa. The development included the construction of a casino resort hotel that incorporates the steel industry’s heritage into its design. Paull said there are many examples of successful brownfield redevelopments in communities across the country. “It takes an aggressive and strategic economic development effort with really good incentives, but it certainly can work,” he said.